Psychedelic drugs, a subclass of hallucinogens, affect perception and cognition in a manner that qualitatively alters one’s conscious experience, unlike central nervous system depressants and stimulants that induce more intense familiar states of consciousness. Most of these drugs have their major action on the neurotransmitter serotonin. A number of different drugs fall in this category, and many of them are so new that they are not even listed as controlled substances. Lysergic acid diethylamide (LSD ) produces powerful, vivid visual hallucinations and alterations of mood that are generally perceived as euphoric. 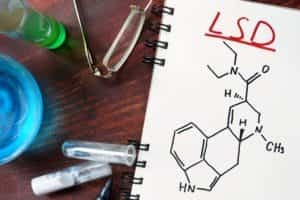 While LSD generally increases one’s overall sense wellbeing, symptoms can also range into feelings of hopelessness and anxiety. LSD is often sold in tablets, in a liquid form that can be ingested with ingestible paper, and as capsules. It is taken orally in very small doses, and the experiences are typically lengthy, lasting 10-12 hours on average. LSD is also a drug that may have some medicinal purposes, especially in certain areas of psychiatry. Flashbacks are experiences that occur when an individual who had used LSD in the past begins to experience the effects of the drug without taking it. This may occur days or years after one’s last use of LSD. Most common flashback experiences include flashing lights, colors, halos, and emotional distress from these events, as the individual is totally surprised by them. A person who repeatedly experiences these flashbacks may be diagnosed with a hallucinogen–induced persistent perception disorder, a clinical disorder that appears to occur in a little over 4 percent of individuals who use hallucinogens. Very little is known about the development of this disorder, and the treatment is typically individualized. According to the Encyclopedia of Drugs and Addictive Behavior, peyote is a spineless cactus that has small protrusions known as “buttons.” These buttons are taken and used for hallucinogenic purposes. Mescaline is a drug that is derived from the active psychedelic component fond in peyote. Mescaline can also be produced in the laboratory artificially. Peyote is one of the oldest known psychedelic drugs. It has long been used in Mexico by the Aztecs and in North America by Native American groups who often use it in religious ceremonies and to treat illnesses. Members of Native American churches have the legal right to use peyote in religious services even though it is a Schedule I controlled substance. The peyote cactus buttons are cut from the root and then dried out. They are then often soaked in water, alcohol, or some other substance and chewed. They may also be ground into a powder and smoked. In research studies, it appears there are few documented cases where negative long-term effects of mescaline use are described; however, the appearance of prolonged psychosis, similar to schizophrenia, in individuals with existing serious mental disorders who chronically abuse mescaline is documented. As with all hallucinogens/psychedelics, the potential to develop hallucinogen-induced persistent perception disorder may be a consequence of long-term use or abuse. According to the book Drugs and Society as well as several other sources, peyote and mescaline do not appear to be drugs that lead to serious substance use disorders in the same vein that alcohol, heroin, cocaine, and similar drugs do. 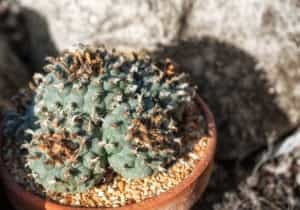 Tolerance to peyote and mescaline appears to develop rapidly with daily use; however, there are no physical dependence issues reported in research literature. Like other psychedelic drugs, there appear to be no documented fatalities as a result of overdose; fatalities occurring as a result of suspected overdose almost always appear to occur in conjunction with the use of other drugs, such as alcohol. There are no documented effects of physical dependence on psilocybin, although tolerance probably develops relatively quickly. As with any drug of abuse, an individual can be vulnerable to accidents or engaging in poor judgment while under the influence of the drug. Ketamine is a synthetic drug used to initiate anesthesia, for pain relief, and may be useful in the treatment of depression. Ketamine is a dissociative anesthetic that has psychedelic properties. According to Stahl’s Essential Psychopharmacology, the primary function of ketamine is to block the action of the neurotransmitter N-methyl-d-aspartate (NDMA), an excitatory neurotransmitter in the brain. Physical effects, including dilated pupils, impaired motor coordination and motor functioning, rigid muscles, sweating, nausea, and vomiting In addition, there are cases when ketamine use has been associated with extremely aggressive or violent behavior. Phencyclidine (PCP) was originally developed for use as a general anesthetic. 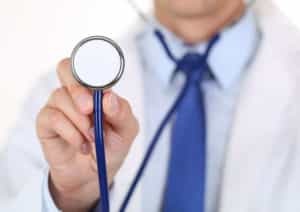 Its clinical use resulted in serious side effects, and it is no longer used in that capacity. It is a serious drug of abuse and commonly taken orally in tablet or capsule form or snorted as a powder. Street names include angel dust, peace pill, and love boat. Low doses will produce numbness in the hands and feet and a sense of intoxication that presents with unsteady gait, loss of balance, slurred speech, and bloodshot eyes. Long-term use is associated with irreversible brain damage in animal studies. Moderate doses will lead to heavy sedative effects. High doses may lead to convulsions and coma. Psychological effects include changes in body image, loss of boundaries between individuals, depersonalization (feeling as if outside one’s body), euphoria, hallucinations, and aggressive and suicidal impulses. It is not unusual for individuals to become obsessed with the notion that they are invincible or filled with strength and power while they are under the influence of this drug. Chronic PCP use is associated with the development of tolerance, but there is no known evidence for the development of physical withdrawal symptoms or physical dependence. It is important to understand that while many of these drugs do not appear to have a strong potential for the development of physical dependence, this certainly does not suggest that individuals cannot form a psychological dependence on these substances. This type of dependence is somewhat more difficult to fully quantify in research studies and is most likely more common than reported. Psychological dependence includes feelings of depression, mood swings, anxiety, cravings for the drug, vulnerability to stress, and other symptoms that occur when one discontinues a drug. Many of these drugs are used in combination with other drugs, such as alcohol, cannabis, cocaine, etc., and the interactions from mixing these drugs can be potentially serious and even fatal. In addition, chronic use of these drugs to escape from responsibilities and certain aspects of reality, or to deal with stress, may indicate a potential abuse issue in individuals who use them. Since all of these drugs affect an individual’s judgment, there is potential for a number of serious accidents to occur when under the influence. Moreover, the drugs mentioned here are illegal to possess, and those using them are breaking the law and putting themselves at risk for serious legal ramifications, including heavy fines and/or imprisonment. This is in addition to the risk of health complications, including overdose. Thus, anyone abusing these drugs should seek professional help. With comprehensive care, people can learn to stop using these drugs for good.